We’ve finally made it official: My blogging buddies and I are doing themed posts to go with a great book once a month now! So far, we’ve had a blast doing shark posts and back to school posts. 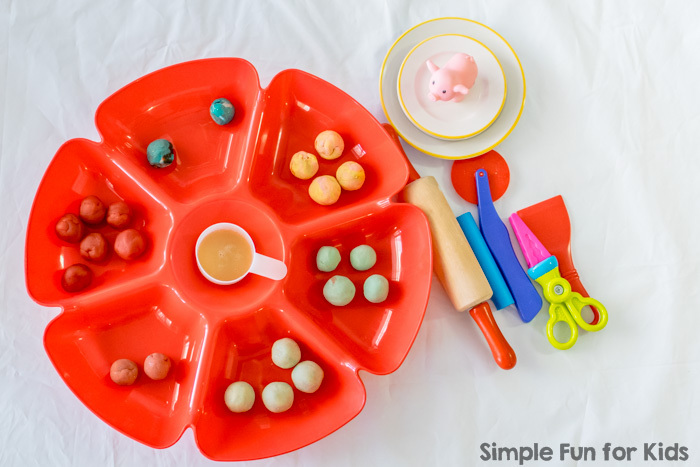 This month’s theme is play dough! For this theme, I picked one of my daughter’s favorite books for inspiration: If You Give a Pig a Pancake. It’s just so much fun to follow along with the little pig’s requests and the chaos that ensues! 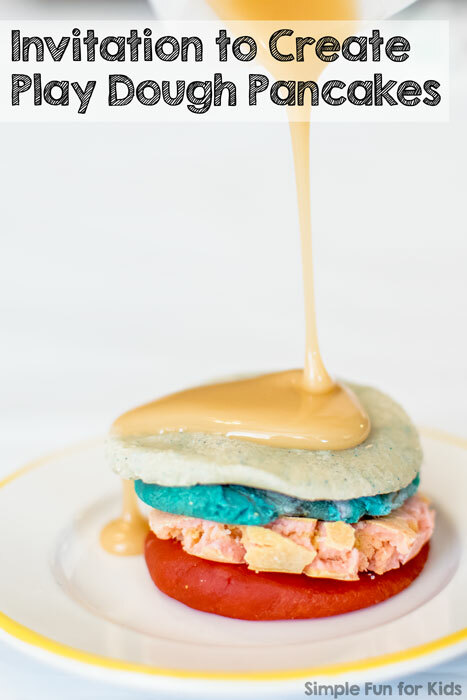 We focused on the title activity and I set up an Invitation to Create Play Dough Pancakes. Cornstarch, water, and real syrup to make pretend syrup (optional). 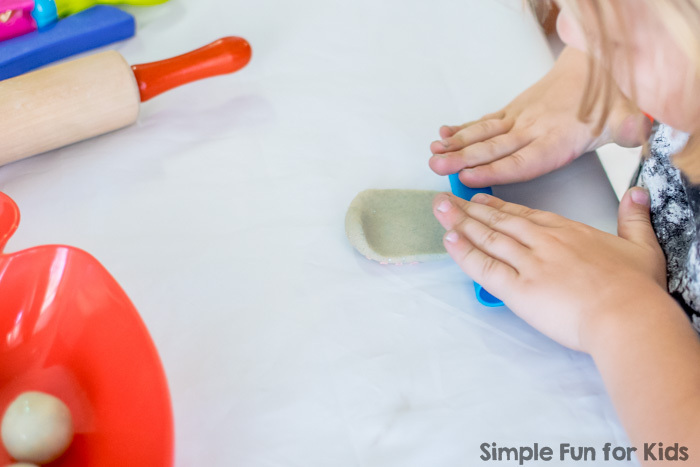 You could definitely make it a perfectly fine activity with just play dough! The rest is just for added fun and different ways to play. I made a little bit of pretend syrup by mixing cornstarch with a little water and some real syrup. I was concerned that real syrup alone would be too sticky and ended up with a pretty fun consistency. It even smelled like syrup! E asked if she could taste it, but when I said I didn’t think it would taste good, she decided to skip it. It wouldn’t have hurt her at all, though! After that, E got to work on the pancakes. She had a bit of a different idea about pancakes than I did, but that’s just fine. This glittery greenish pancake was the first one she worked on and the one she played with the longest. She loved pouring the syrup and was very careful with it. When she ended up with just a little too much syrup, she asked for a paper towel to clean it up. 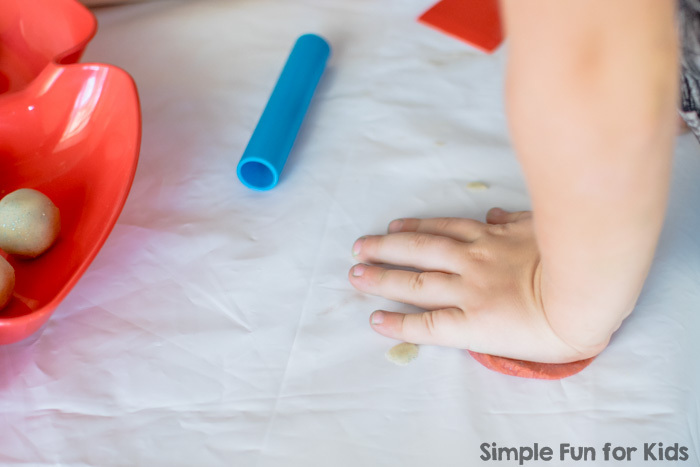 For the next pancake, she used the technique I’d envisioned and flattened the ball of play dough with her palm. It really looked like a pancake, but E didn’t seem to enjoy that fact and cut it up instead 😉 Again, she added a layer of syrup on top. 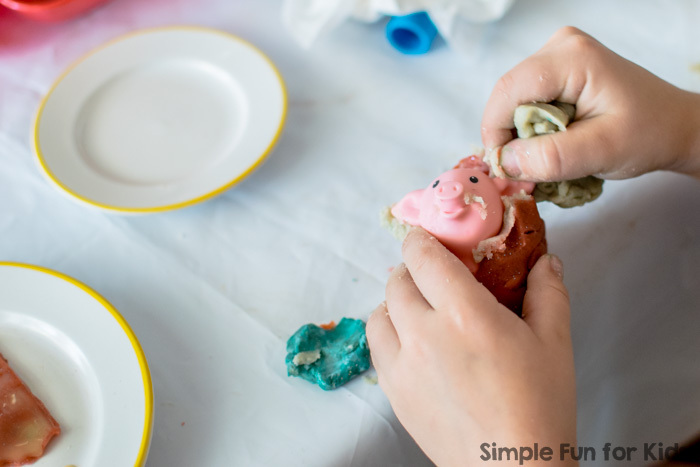 When E had had enough of pancakes, she decided that it was the pig’s birthday and that she had to decorate it with play dough. 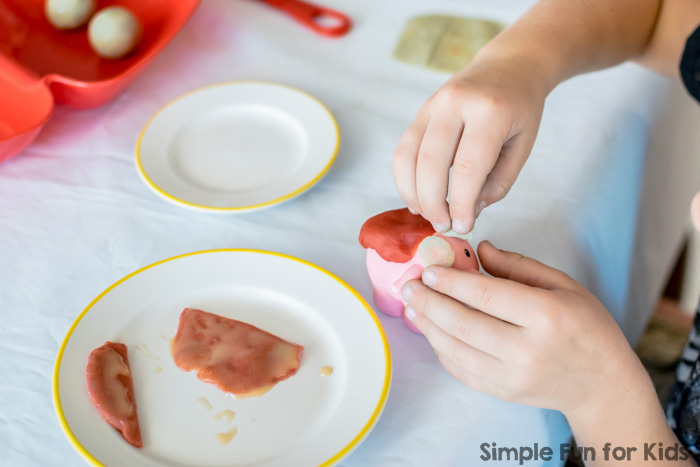 She very carefully and deliberately rolled out bits of play dough and cut them into squares before putting them on the pig. 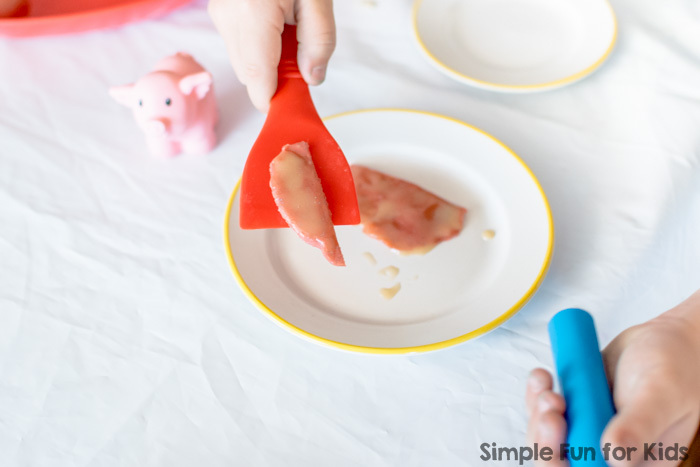 Once she had covered the entire pig, she proceeded to take the play dough off again. This activity was great fun! 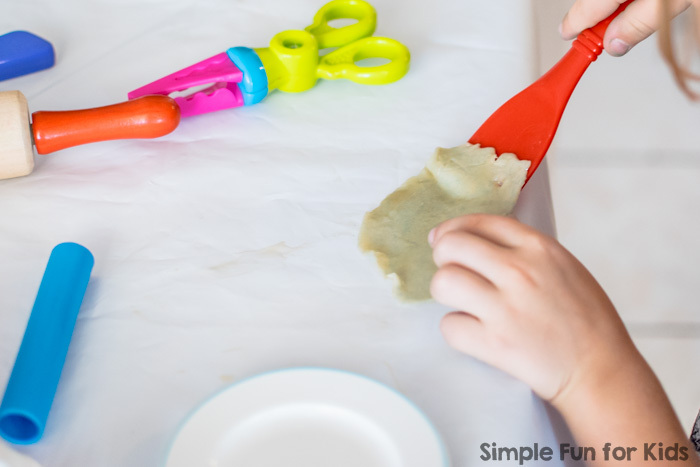 I expected the play dough to get ruined with the syrup, but we actually just kneaded it into the play dough and were able to save almost all of it. Have you read the book If You Give a Pig a Pancake? 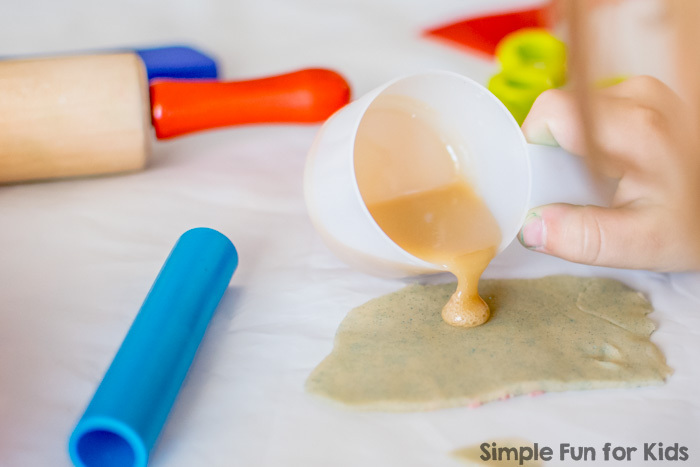 Have you made pancakes from play dough? Leave a comment below! And now go check out what my blogger friends have written about this month! We love the “If You Give…” books! What a super fun go-along! Thank you, Kristina! Those books are awesome! Thank you, Emma! 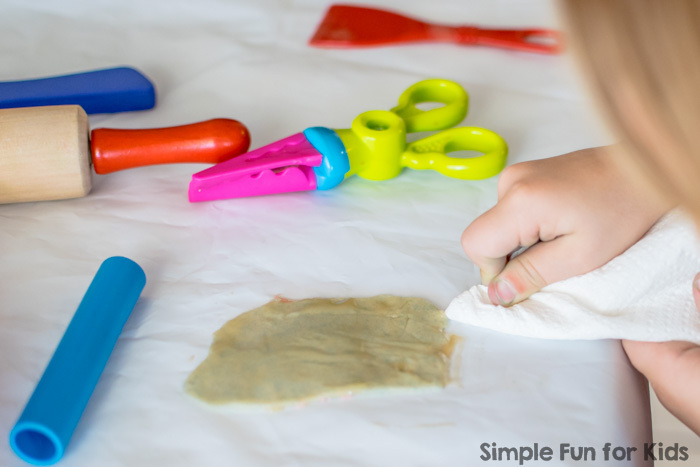 I was glad that we didn’t have to throw out the play dough! 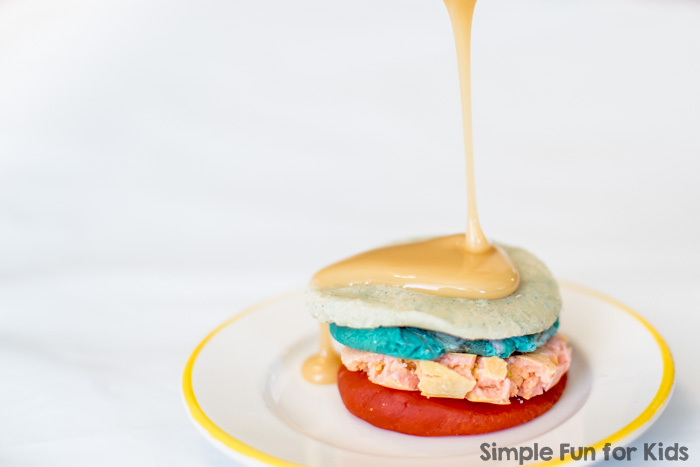 The pretend syrup is genius!